See available listings in Bay Harbor real estate market. With so much to offer Bay Harbour real estate, Florida is getting lots of attention. Most complete inventory of Bay Harbor Real Estate Listings for sale and rent in the area. Two of the Bay Harbor Islands separated by Intracoastal Water Ways and located just west of famous Bal Harbour which is still considered to be Bay Harbor Islands. Please Contact Us or give us a CALL 786-505-4786 if you have a question on the Bay Harbor real estate market. 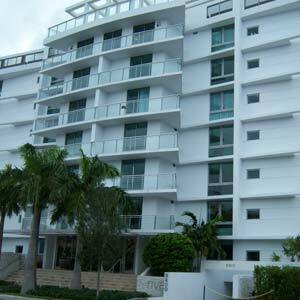 With various home styles and condo buildings, Bay Harbor Islands real estate is diverse in their home and condo options. A quite, two island community if single family homes on the western island and various designs and styles condos on the east, island offer many opportunities for buyers in all price ranges. A sleeping, quiet community that is somewhat frozen in time. 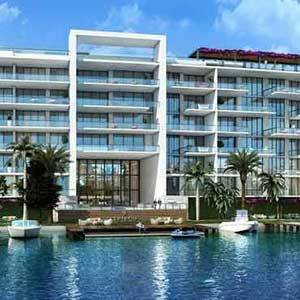 Real estate market in Bay Harbor Islands offers family oriented and pet-friendly communities. Lots of opportunities are available for a home buyer looking for a secluded and peaceful place to live. Great options are available, with many waterfront homes for sale in Bay Harbor Islands for boat lovers or anyone interested in waterfront living. 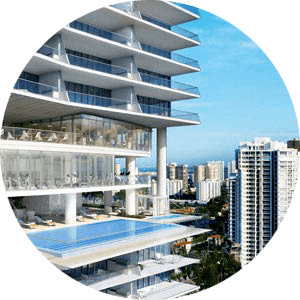 Just west of the Intracoastal, on the Biscayne Bay, Bay Harbor Islands of Miami’s Bay Harbor are marvels of waterfront living. The two islands are surrounded by the waters of Biscayne Bay for unique and impressive views and easy access to the Atlantic Ocean. Bay Harbor real estate is very diverse, however, the west island is dedicated to strictly single family homes for sale and the east island is a mixture, with mostly condos for sale. Either way, both island locations offer waterfront living and access to the Biscayne Bay. Connected by Broad Causeway Bridge, Bay Harbor Islands FL are centrally located between Miami Beach and Mainland. Only minutes in each direction getting around to the beaches and the city is fast and easy. 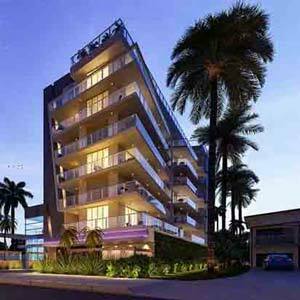 Minutes away from The Shops of Bal Harbour, golf courses, Surfside, Aventura, and Sunny Isles. Properties located in Bay Harbor Islands offer seclusion yet are only minutes from the action if desired. 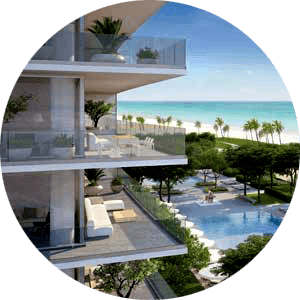 Buyers looking for waterfront living will find condos and homes with Mediterranean construction offering luxury multi-story waterfront homes with multiple bedroom and bath, boat slips and lifts, 2-3 car garages and gated lushly landscaped grounds. 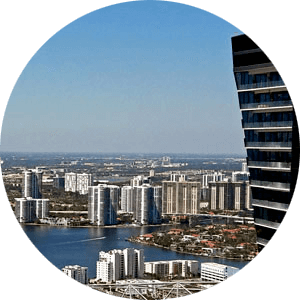 Unlike the neighboring cities like Sunny Isles Beach or Aventura and Village of Bal Harbour which all have been going through the transformation with new construction and growth. Bay Harbor Islands have remained the same a small sleepy community. But that is about to change. Shortage of waterfront properties has finally brought the attention of developers and their attention is on Bay Harbor Islands. Why Bay Harbor? Well for starters it has so much to offer. Surrounded by the Intracoastal Waters many properties offer waterfront exposure. Due to city restrictions, no super high rise condos can be built. So developers are choosing to built smaller boutique complexes. Many with amenities you would expect from a much larger residence but one third or one quarter the size of it. 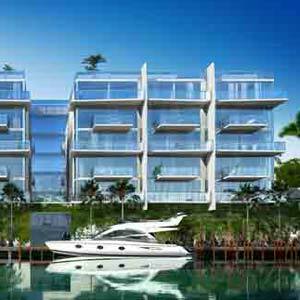 Many new condo complexes are springing up all over Bay Harbor Islands. 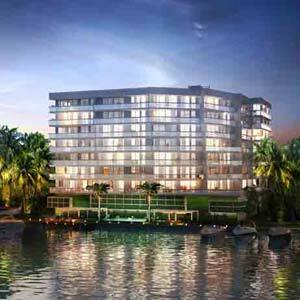 New construction condos for sale offer five-star amenities in a boutique setting with waterfront access and marinas. Concierge, 24-hour security, modern kitchens with flow-through floor plans and luxuriously appointed bathrooms. 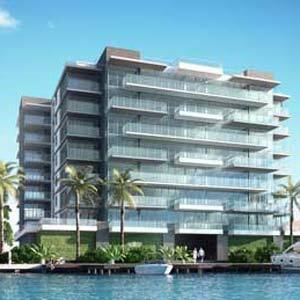 Yes, real estate in Bay Harbor is finally coming around and the opportunity to get in on the ground floor is here now. If you are searching for island living and need a home that offers waterfront and water sports amenities, then real estate in Bay Harbor is something to put on your list of properties to look at. Our agents are knowledgeable of the North Miami area and can assist you in finding the home for sale in the area that suits your living style and needs. Give us a call 786-505-4786 we are always eager to help.